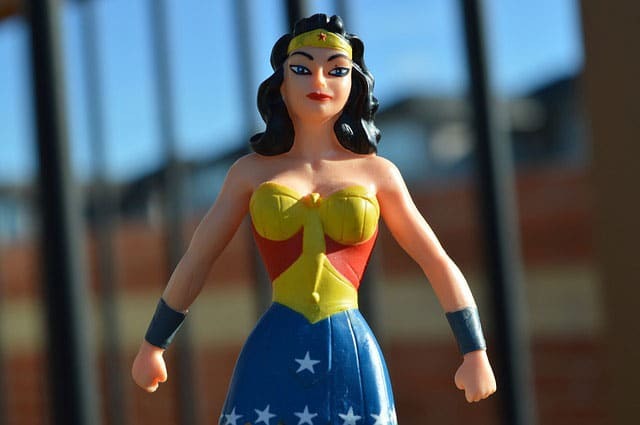 I felt a bit like Wonder Woman – As in I wonder how I’m still awake. *UPDATE* She’s had a good couple of weeks, and we have an appointment later in the month, so hopefully we’re moving forward with this. We’ve all heard the stories of parents in a moment of crisis being able to use seemingly super human strength to save their children. There are urban legends of parents lifting cars off their children so they can be pulled to safety. These stories are fascinating and there is some truth to them. Though they aren’t really dead lifting 1000kg cars up into the air, but it’s absolutely possible for panic to help people (not just parents) draw on incredible strength they didn’t know they had. So I’m not about to share a story about how I lifted a vehicle off one of my kids – thank goodness for that. But it’s a story of strength nonetheless. My daughter has been having a mystery pain off and on for the last year. She’ll be fine for months – long enough that we think it’s gone away, and then it comes back. I won’t go into a lot of detail, because it’s a little delicate. All you need to know is it only comes up at night, it lasts a couple of hours in waves, she has seen several doctors and nobody knows what is going on. This week though it’s been bad enough that we’ve finally had a doctor take it seriously. We’re no closer to answers, but at least someone is listening. But it also means this week I’ve had barely any sleep. And the sleep I’ve had has been extremely interrupted. And yet a couple of nights ago even I was listening to myself talk to my daughter in soft, reassuring tones. I was calm and I was alert. Despite my lack of sleep I was still pouring all my love and energy into her. When she needed me to I picked up all 25kgs of her and rocked her in my arms. Even at 3am. Even though my eyes were closed as I swayed with her in the dark and I could feel myself falling asleep literally on my feet. In the depth of my foggy brain I realised that I am capable of anything if it gives her comfort. Anything if helps take away her pain. I can do anything. Obviously this inner strength isn’t just something I draw on. I’m not special. This isn’t even exclusively a maternal thing. My partner – her father – has been awake most the night too this week. He can’t sleep when something isn’t right with his child. Even though our daughter clings to me when she’s in pain, he’s been my hands, because mine have been full. He’s refilled our drink bottles and set up the extension lead for my phone charger. Or just sat on the couch fretting next to me. I don’t even know how he’s managed to go to work in the morning. And he’s gone before we even wake up for the school run. And I know other parents deal with so much more than this. Part of this mystery illness is she’s fine in the morning. It’s a blessing and a curse that there is nothing anyone has been able to find wrong with her, because she’s otherwise perfectly healthy. So even though we are tired – it could be so much worse. I know there are parents who somehow pull together this kind of strength for years without a break. And I can’t say I know what that is like, but I think I can understand how they do it. Because I know I would do anything for my children. I’ll add that we had a better night last night. She slept a solid 13 hours – she clearly needed it. I “slept” next to her. Which meant I woke for every movement, every wriggle, every snuffle or squeak. I’ve been cosleeping with our children for the last 8 years, I can normally sleep next to a wriggling child, but I was still hyper alert all night. We’d been told next time it happens just take her straight to hospital, so all night every time she stirred in her sleep I was halfway out the door in my mind. But she was fine, woke up this morning with big smiles, and she’s at school today. So hopefully it’s over for now. Also please excuse any typos or anything that doesn’t quite makes sense. I’m not great at proof reading at the best of times. So this is what it is. The overall point is even though I’m extremely tired, I’m also pretty impressed with myself. And tell me your own stories of strength as a parent.